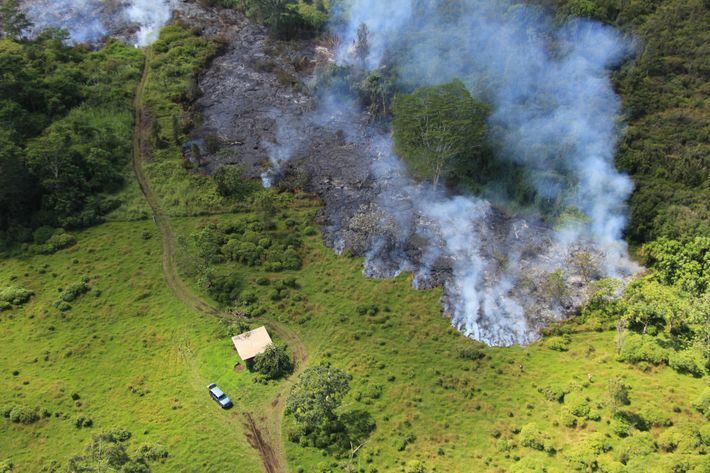 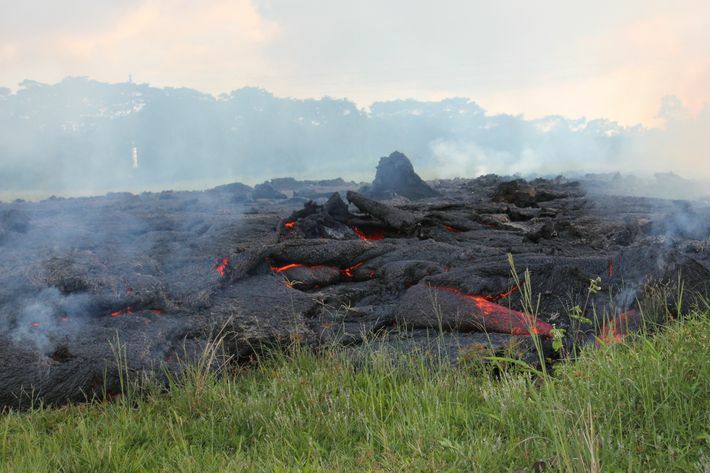 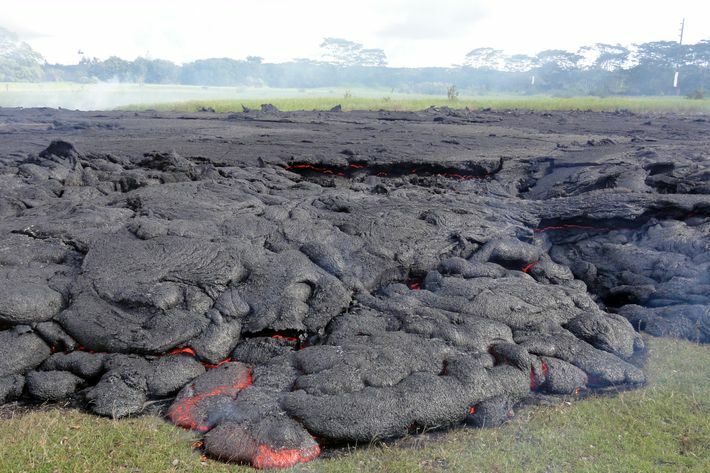 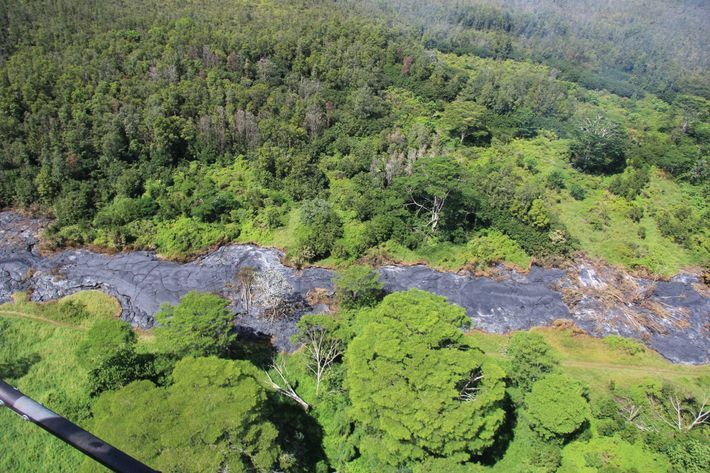 The Kilauea volcano on Hawaii’s Big Island has been slowly erupting since 1983, but its lava path has largely managed to avoid residential areas — until now. 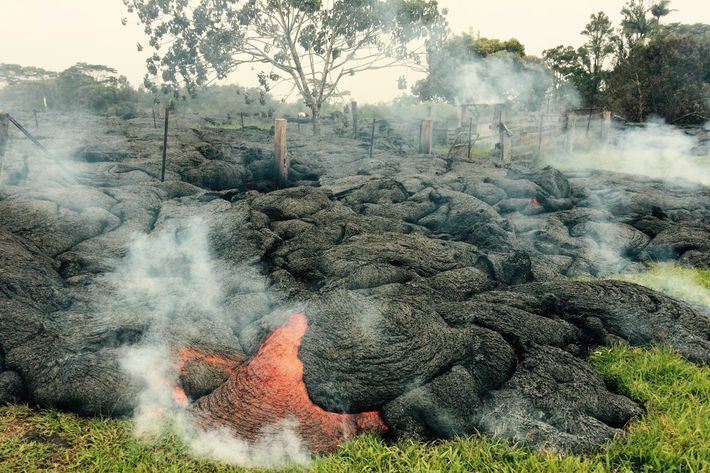 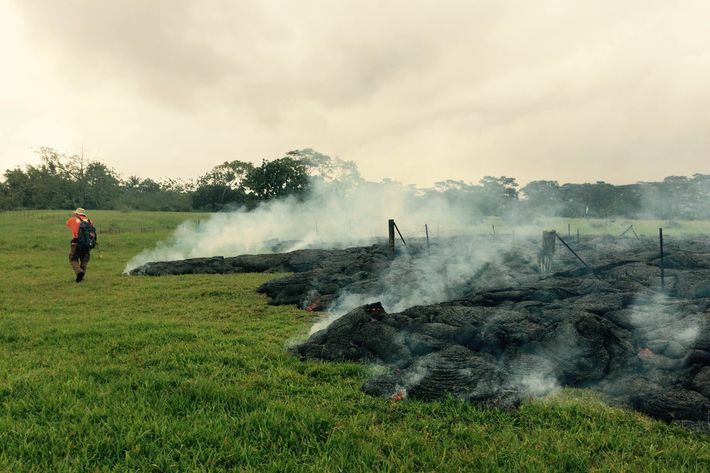 Over the weekend, lava from Kilauea entered a cemetery, flowing over tombstones and graves. 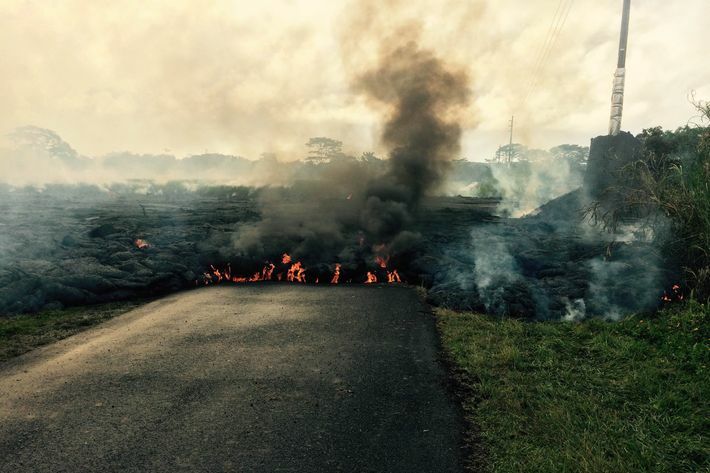 The small town of Pahoa is situated in the volcano’s current path, and residents are waiting to see if they will be forced to evacuate on Tuesday. 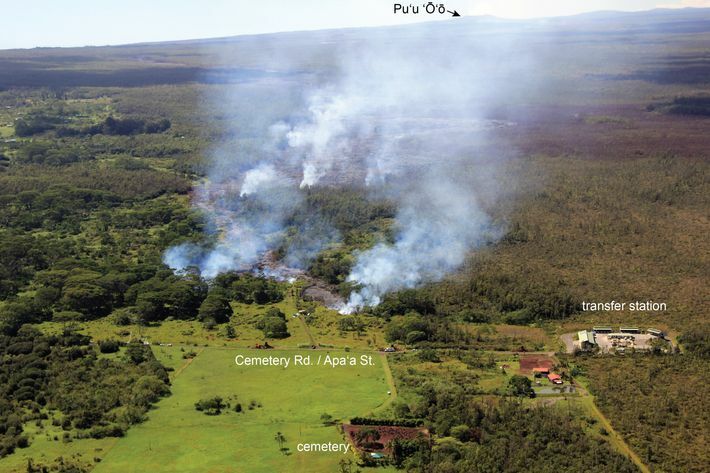 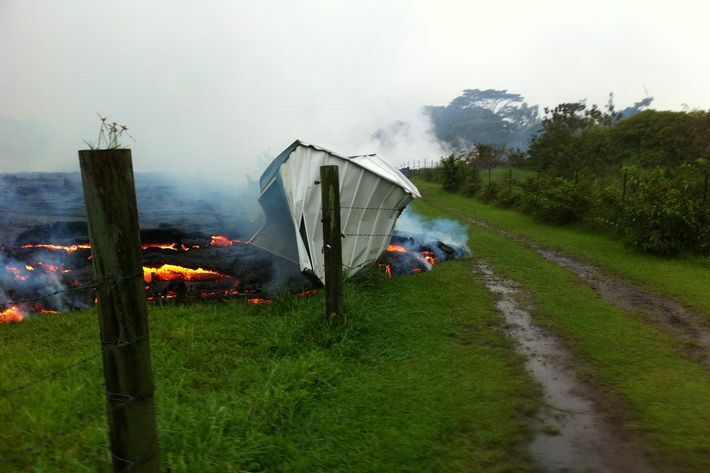 Here are some of the most recent photos from the eruption.